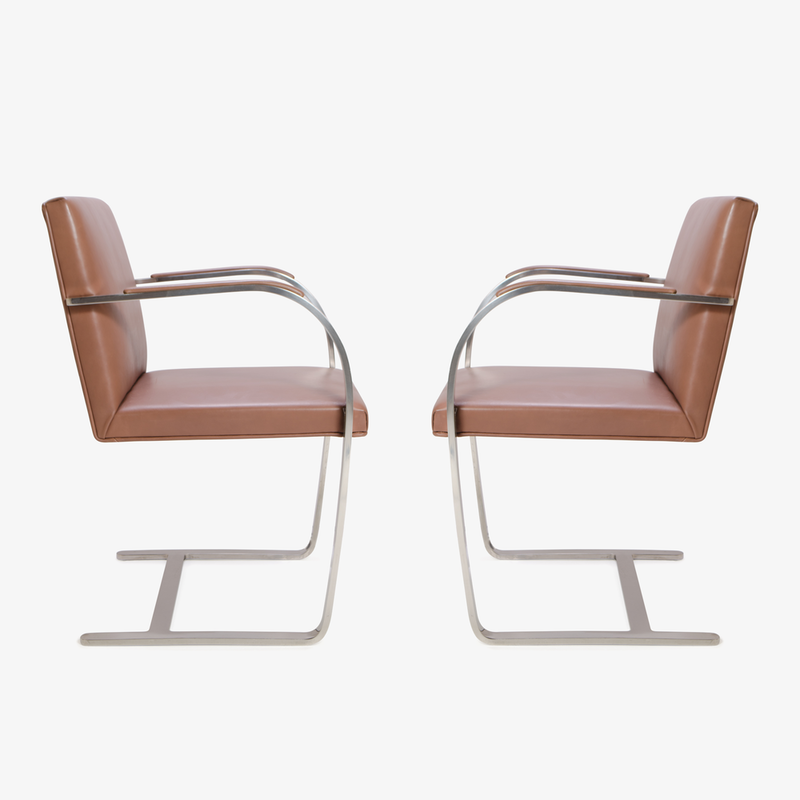 The definition of minimalism in a singular design, achieved by the great Ludwig Mies van der Rohe in 1929; the Brno Flat-Bar Chair is just that. 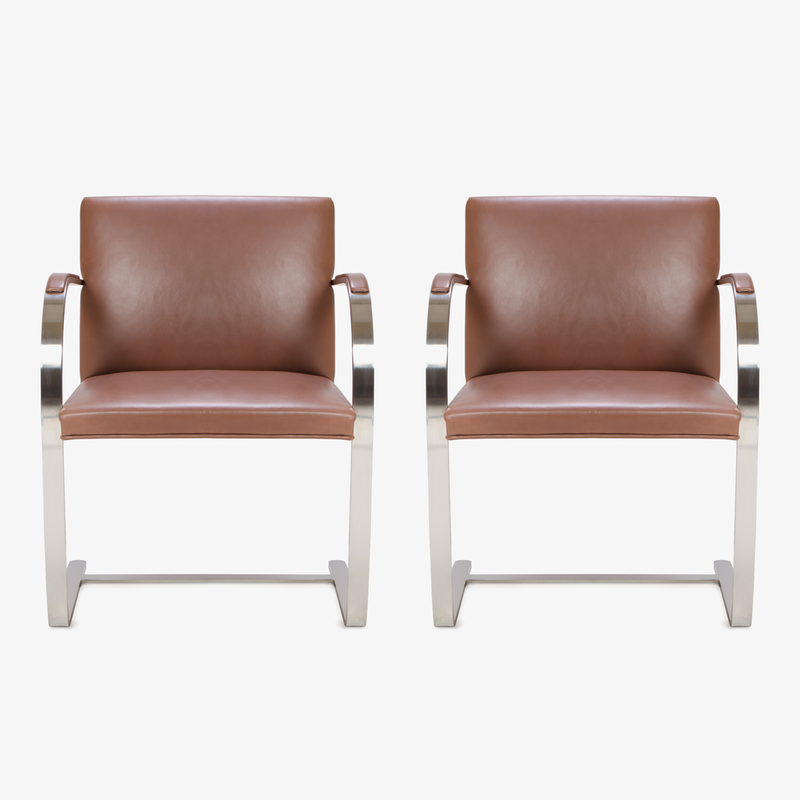 These are vintage condition Mies van der Rohe for Knoll chairs upholstered in original supple Cognac Leather, a stunning combination with the chromed stainless steel frames. These chairs feature upholstered armpads, Xerox property tags and are overall in spectacular condition.